An aircon unit that makes noise can be really annoying especially if installed in the bedroom or any other location within the home where noise is an intolerable aspect. Sleeping with a noisy air conditioner can pose a major challenge when it rattles the entire night. It is equally difficult to think straight and concentrate in a home office that has a noisy aircon unit. Even though there is nothing as a soundproofed air conditioner, you can easily address vibration and noise issues experienced with the units. All that is required is a bit of investigative work and a keen eye for detail when it comes to spotting faulty parts. Below are some useful tips that will make it easier for you to make your aircon quieter. Singapore residents will find the tips helpful especially during the hot periods. Vibration is normally the major cause of noise produced by aircon units. However, the noise keeping all the family members awake at night can be attributed to other faults as well. Before rushing into buying a new unit, first check if you can identify the source of the noise. The initial step you can take even before finding the fault is to screw the unit securely in place. Find all the visible screws and tighten them. Other than making the unit quieter, this action will additionally make it secure and safe to use. Loose screws will only cause lots of rumbling and vibration which eventually leads to excessive noise. This test can be accomplished by switching the unit on and assessing whether the noise is being produced as a result of poor installation. You can lightly press against it and listen for any noises. If the noises disappear when a bit of pressure is applied, you can use shims to secure it in place. This will make your air-conditioning unit quiet. Blades could also cause unbearable noise. Therefore, pull out the unit and check that the blades of the aircon unit are not bent. Bent blades will obviously cause lots of noise. Bend them back appropriately so that they align or resemble other blades. Once this is completed successfully, you can take it back and test it again. Certain noises could only mean that your unit is experiencing major problems especially if there are banging or clanking noises which suddenly arise. These kinds of noises could either mean the fan, the compressor or any other major component is about to give in. 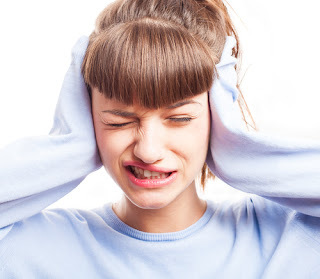 Continuous noise should never be ignored but should be dealt with as soon as they occur. If the compressor is faulty for instance, you can have it replaced and your unit will be less noisy. Air conditioners are sleek devices. As such, the components and the parts are designed to work in compressed or small spaces and this is likely to cause noise. Worn out parts are also likely to cause lots of noise due to deterioration. This is the main reason why calling professionals to do routine maintenance will make your air conditioner less noisy. One of the most appropriate techniques that will effectively get rid of noise is by cleaning it frequently. Other than reducing all the annoying noises, cleaning it maintains it in good shape and prolongs its life. To do a thorough cleaning job on the appliance, disassemble the removable parts and clean it well. Oiling some of the movable parts will also get rid of noise thus making it run quietly. A popping sound produced when the unit is switched on could mean ducts are not sized properly. The sound is usually produced as a result of air pushing through the ducts. Undersized or faulty ducts will simply make it impossible for the air to flow freely. The only rational thing to do in such a situation is to carry out a replacement of the ducts. This will make your air-conditioner quiet. In certain instances, noise coming from the aircon could simply mean that the unit has suffered major wear and it has outlived its usefulness. A replacement may be mandatory in such situations; therefore, call a professional based in Singapore to do the replacement if deemed necessary. When the appliance is installed properly and maintained on a regular basis, you can rest assured knowing your unit will be quiet for a long time.